Two wooden bases are used with the smaller on top; a shiny pitch black color is used to give a classic and striking look.. 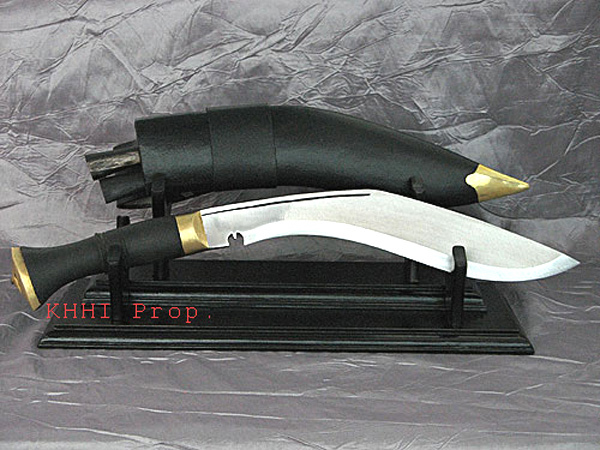 This double rack mounted khukuri display stand is completely handmade by using only conventional domestic tools. It is made out of treated wood called Ashna, famously known in Nepal as “Seesau”. 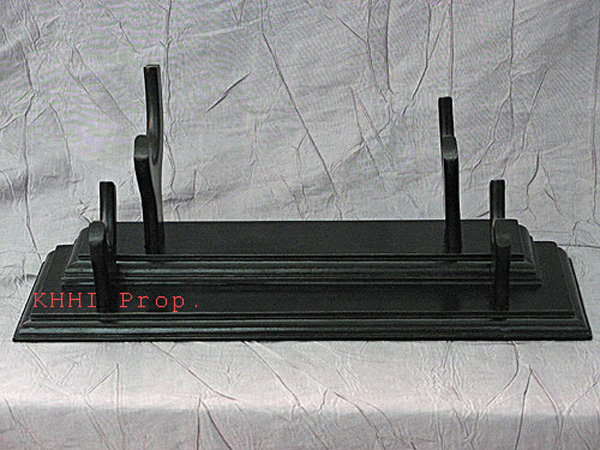 The process of making a single stand is very slow and laborious. 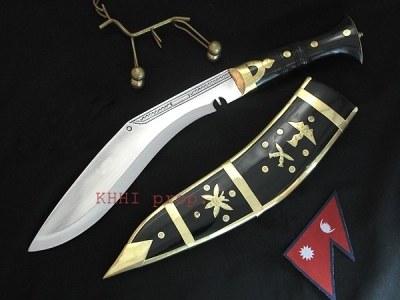 It is as time consuming as making a Khukuri, costing almost a complete day to finish one. All stands are made in Kathmandu where skill craftsmen work around the clock to give quality and quantity. They are foldable (hands come apart) so that they can be carried and transported very easily. They are also completely break-free since they can be swiftly dismantled. Two wooden bases are used with the smaller on top as depicted in the picture. Edges of the wooden frames are molded artistically to give better look and status. 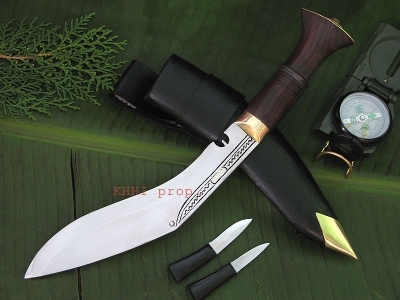 Two pairs of hands, ‘Y’ shaped are fitted to hold the blade and scabbard horizontally and beautifully. A shiny pitch black color is used to give a classic and striking look. Moreover the color goes with almost all kukris despite of their various color features. The hands come off so that packing is small and swift.